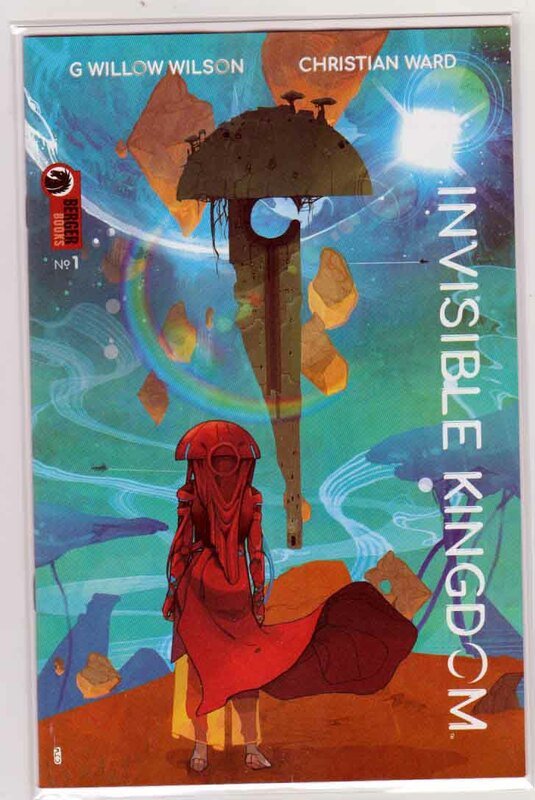 Invisible Kingdom #1 (2019) Christian Ward Cover & Pencils, G. Willow Wilson Story Set in a in a far-flung star system, this new epic sci-fi monthly saga tells the tale of two women-a young religious acolyte and a hard-bitten freighter pilot-who separately uncover a vast conspiracy between the leader of the system's dominant religion and the mega-corporation that controls society. On the run from reprisals on both sides, this unlikely pair of rebels risk plunging the world into anarchy if they reveal the truth. But when your beliefs betray you, what choice is there left?